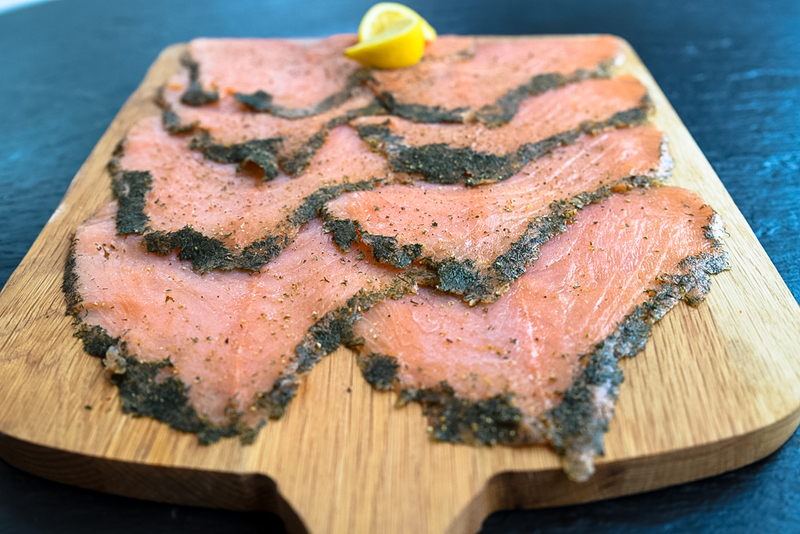 At Ardtaraig we offer our Smoked Fish products with two different slicing methods. This is designed around sizes of packs and also intended use. D-Slicing is the traditional method of preparing larger sides of Salmon. This involves slicing diagonally at a shallow angle through the fillet of Salmon from top to bottom. This method produces a beautiful triangular slice of fish with a tiny amount of brown meat at the bottom of the slice in the centre. This method of slicing is present on all of our products above 500g and also in most of our 200g packs. Just look out for the description next to each product as a guide. We would always suggest that this method is best if you wish to serve the side as a presentation piece or if you wish to present the slices on a plate as a starter. Long Slicing is a more modern technique and involves running the knife right across the top of the Salmon fillet to give you one long slice as in the name. This technique means that there is no brown meat at the bottom of the slice. We would recommend this type of slice for anyone who wishes to make canapés or who will be cooking with the finished product. It could also be considered slightly easier to work with if you are less confident in dealing with preparation. Both methods of preparation produce beautifully thin slices which melt in the mouth. 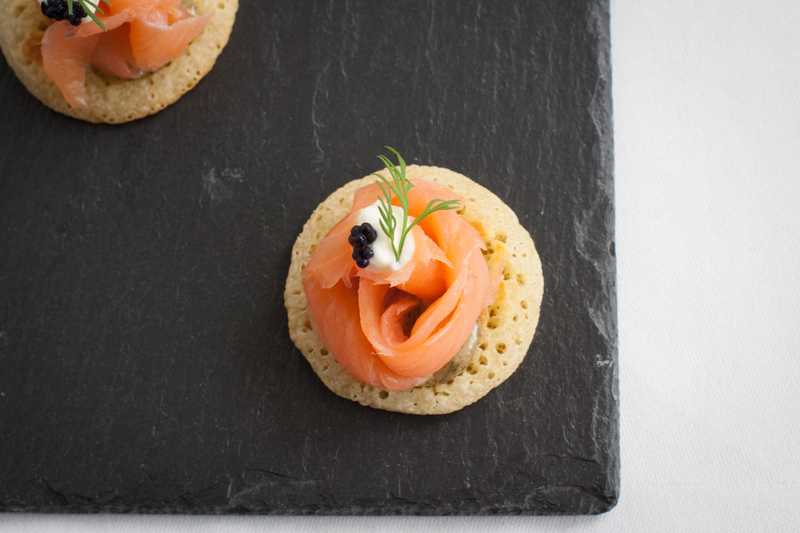 Of course this guide would do many more as canapés.